WordPress 5.2 Update: What Will It Bring? One of the key features of WordPress is the constant updating process. The platform updates to keep the safety level high and to provide its users the best features from the latest trends. WordPress changes from year to year but one thing remains: it always serves website administrators in order to give even opportunities for everyone in this field. WordPress 5.2 update is already available in beta test. The release of the update is planned for the end of April 2019. We will now list the most interesting features of the 5.2 update and look at the opportunities they give to a WordPress administrator. Note, that the beta test features may differ from those we will see after the release. But the main ideas and update`s direction should remain as they are on the beta test version now. To try all features by yourself, use the free WordPress Beta Tester plugin. It is always exciting to observe the trends changing from month to month and from year to year. WordPress is a very large platform that includes websites of all possible topics and types. 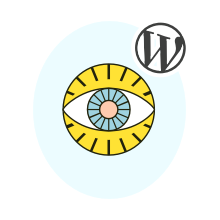 That is why WordPress trends are really comprehensive: even website owners outside the platform always keep an eye on projects created and developed here. WordPress themes represent great opportunities to observe and analyze trends. Premium themes for WordPress websites are always following the demands of the web market and the wishes of online audience. WordPress theme`s creators keep abreast of events and reflect the market`s dynamics as no one else. We have gathered the best of the fresh WordPress premium themes created in March 2019 within this article. You can make lots of important decisions based on the trends these premium WordPress themes show. Do not hesitate to grab the exclusive information and be ahead of your competitors! Images represent one of the most popular content types for any WordPress website. Although we often prefer to express thoughts with good photos and pictures, most of us know very little about the basics of this file type. The choice between JPG and PNG file types can serve as a great example of this statement: how many of us know what do these file types stand for? What is the difference and what file type is preferable in a certain situation? Our today`s Quick Tip will show you the truth about JPG and PNG file types: what secrets do they hide and how can we use it. We will discover the basics about image file formats and learn how to use their strength and weaknesses for the sake of a WordPress project. WordPress is already well-known as one of the best platforms for advertising your own experience with a neat portfolio, CV or resume website. It is true, that WordPress provides the optimal combination of features for a landing page or website with the goal of CV representation. These features include free basic services, ease of creation and customization, great variety of additional tools and much more useful options. CV websites represent one of the simplest types of WordPress projects. They do not take a lot of time and effort for the creation and customization, do not require constant updates of content and do not need any special skills in web development or design to be sufficient. On the other hand, the competition in nearly any professional segment is now very tough. It means, that your CV websites need to be really outstanding to draw attention of the potential employers. We have gathered the best sellers among WordPress themes for CV and resume websites for you in this article. This top will help you to select the best premium WordPress theme for any type of CV you could imagine. The themes from this list are tested by hundreds of users and have proved themselves as perfect tool for the advertising of your experience and skills. Since the 5.0 update of the WordPress platform most of us started to use the new editor called Gutenberg. This block type editor has lots of advantages and only one downside — we needed to get used to it. Over months of using Gutenberg the majority of users find it better than the old one. The minority of users install the “Classic Editor” plugin and enjoy their workflow in familiar conditions. We would not focus our attention on the editor`s alternatives rather will look at one of the new features that Gutenberg brings to WordPress. Reusable blocks are actually custom blocks that you can create, edit and use in any moment of your work with Gutenberg editor. These blocks can also be combined and represent a group of blocks which you often use while creating your WordPress content of any type — from text to video. WordPress gives great opportunities for the development of eCommerce projects. The chance to create your online store for free within a WordPress platform is really promising, but you would need much more than a WordPress theme with a bunch of plugins to make your eCommerce project successful. One of the most important things on your way to the glory among thousands of competitors in online sales is your content. The ability of your WordPress website to attract visitors and convert them into loyal customers is mostly dependent on the quality of your content and its correspondence to your potential audience demands. Product buying guides represent one of the most amazing opportunities to attract users’ attention and keep them engaged within your WordPress eCommerce project. We will observe the features of product buying guides and will look precisely at the first steps of creating your own product buying guide for a WordPress website. WooCommerce is known is the largest trading platform for WordPress websites. However, WooCommerce is not the only tool you need to create a successful online store project on the WordPress platform. The modern eCommerce is a pretty complicated sphere that demands lots of work to bring your efforts to success. Even more work is needed to keep your WordPress online store among the leaders in any segment of marketing. Today we will pay attention to one of the most important aspects — social media integration within a WooCommerce project. Social media represents one of the most rapidly growing channel of new customers your business can possibly have. Social networks tend to replace all kind of online services — from testimonials and feedback to buying guides and personal assistants. That is why your WooCommerce project based on WordPress platform can not ignore the opportunities of social media. Fortunately, WooCommerce is flexible enough to work with lots of useful social networking plugins for WordPress. We will consider the most interesting and promising tools of this category in the article below. Do not hesitate to learn more important tips on developing your WordPress online store with us! The process of a WordPress website development implies a lot of communication with your potential audience by means of various texts. Lots of guides aim to teach how to draw and keep website visitor`s attention but only a few of them pay attention to the question of text readability. In other words, text readability is mostly underestimated. Readability score is a measurable indicator of the success of your texts. This score shows you how easy or how difficult is it for your website visitors to understand what you say within your texts. The problem is that usually we can not estimate the difficulty level of a text written by ourselves. In this case modern WordPress tools can be very handy and do the analytics on an automated level, displaying tips on simplifying a text right inside your WordPress dashboard. We will look at the term of readability score closer and learn how to use this knowledge for the sake of a WordPress project. Otherworldly, all you need to know about readability score is in the article below. Artificial Intelligence (or simply AI) develops constantly to cover all tasks that could potentially be automated. By automating lots of everyday tasks we get more opportunities to stay creative and invest more time into gathering, analyzing and applying new ideas to our WordPress projects. In other words, Artificial Intelligence lets us focus on strategical tasks, while it deals with tactical ones. With such a tool you can drive lots of projects with better effectiveness. Unfortunately, modern Artificial Intelligence is far from a perfect one. It means we can not yet delegate it a lot of tasks we would like to. On the other side, it is always good know what innovations are available and use them in a proper way. With this aim we have gathered the most stable and useful tools which provide service based on Artificial Intelligence. This list is still shorter than most of us would like to have, but there are some interesting features each WordPress administrator could use within his or her project. Brand strategy defines your whole attitude to a business you represent with a WordPress website. It is foremost important to determine and understand your goals and methods before coming to your target audience offering a brand strategy. Unfortunately, brand strategy remains underestimated by many businesses. This article will be useful for the beginners in the field of WordPress administration and related marketing options. We will analyze the term of brand strategy and see how it can help your WordPress project to develop and earn more and more audience in the process. Moreover, we will take a look at 4 basic steps to create your own brand strategy within a WordPress website or blog you have or only are eager to create. An exit-intent popup is an animal in comparison to other list building tools. The success rate can reach 35%, which is more than 8 times better than a simple opt-in form at the bottom of your website. Moreover, the popup that appears on the exit gives you an additional chance to re-engage with your site visitor which is about to leave. So you can kill three birds with one stone — actively collect email addresses, reduce your store’s abandonment rate AND increase your sales. Let’s dig and see what the exit-intent popup should be like to bring such great results. It is time to summarize the development results of 2018 for WordPress plugins. The year had its trends like new GDPR rules and cryptocurrency interest of many users, and these trends show themselves within the plugins created for WordPress administrators in 2018. What other trends had 2018 — find out in our top 10 WordPress plugins for WordPress list! The actual information about WordPress trends is crucial for every website owner on the platform and beyond it. These trends will determine the development strategies of the most successful web project on the early 2019. Moreover, new 2019 trends will be surely born from the previous ones, which we analyze now. It is true, that only one who knows the past can rule the future. Enjoy our top 10 WordPress plugins’ list and make your own analytics and predictions of what we should expect in 2019. 2018 is over: it means that the time has come to summarize the trends of WordPress premium themes over the year. We have gathered 10 of the best selling premium WordPress themes from Envato Market in the list above. This list can help you to choose your perfect WordPress theme for a rocket-speed website development in 2019. Moreover, this top will help you to underline and analyze the trends of the last year. This knowledge will be especially helpful for those WordPress administrators who want to create new project in 2019. There is no success in the future without knowing the latest trends. Multipurpose WordPress themes remain on top but there are some specific topics` representatives in out list, which can show you the most interesting fields of activities from 2018. Use this knowledge to create a potentially popular project as soon as possible! Dark mode is not just a dark color scheme for your WordPress website. Dark mode reduces the amount of light produced by any user`s monitor when the feature is on. It can work perfectly not only for dark designs but also for any color pick you might be using for your WordPress website or blog. Today we are observing the opportunity to add dark mode to your WordPress admin dashboard. There are lots of opportunities to add dark mode to your website and let your users enjoy it but there is no reason to decline such an amazing feature for yourself. We will introduce you the plugin that makes dark mode for WordPress admin dashboard a simple task with one-click fulfillment. Moreover, we will consider the cases when dark mode is useful and efficient for any WordPress administrator. The question of security is the most important one for every web project, and WordPress website are not exceptions from this rule. The quality of your content, search engine optimization, customer support and all other comprehensive elements of work around a WordPress project could not be delivered to your audience properly, if your website has any type of malicious code. In other words, your website is hacked and is completely out of order, when some foreign code finds a way to implement itself within your project. Fortunately, there are ways to prevent the appearance of any malicious code on your WordPress website. The prevention of hackers’ attack is much more effective and takes less time, effort and funds. Malicious code works like a disease, that is why the prevention actions are always better for the overall health of your project and its future. We have gathered the most effective ways to prevent any malicious code within your WordPress projects in this article. These are plugins and services that help you to find any weaknesses onside a WordPress project and turn them into your strength. Moreover, these tools scan your website for any type of malicious code and find it before it can make any damage to your website performance. Check your WordPress website: if you do not have any of the listed above plugins (or their analogues), then it is time to think about the security of your WordPress website immediately. Quick Tip: What Is Inside WordPress 5.0 Update? The first and only major WordPress update of 2018 has been released on December, 6th. It brings a lot of improvements to overall workflow of any WordPress administrator or author. The main change rebuilds the WordPress post editor completely, making it up-to-date and able to comprehend with most of the modern and future tasks of a web project. We will summarize the most important new features of WordPress after the 5.0 update in this article. Moreover, we will show how these features influence your WordPress post creation process and how they upgrade it to a future level of interaction between you and your admin dashboard. WordPress is one of the leading web development platform mostly because it always follows the important trends. And as the new year has come it is time to look forward for some new or old-and-faithful (but still relevant) trends of web development and design. Tracking and following the trends is very important for every WordPress website owner who wants to develop his or her project. Fortunately, WordPress administrators can simply track the trends by viewing the main updates of WordPress platform. But today we will take a wider look at the picture of web development and its influence on modern WordPress themes and plugins. We will have a few examples of a premium tools corresponding the trends we are mentioning in this article. WordPress is the web platform that constantly evolves. New trends in web developing and site administration never come beside WordPress. And this feature has become one of the decisive reasons to use WordPress and create billions of web projects within it. Today we are taking a closer look at the new 4.9 update, which was called “Tipton” (for the memory of the outstanding jazz musician Billy Tipton). The update was released on November 15, 2017 and has already became a huge milestone in the WordPress platform history. This year Cyber Monday and Black Friday deals on Envato Market start from November 21st and will last until November 29th. This and other platforms have lots of exciting, useful and interesting items in 2017 to sell with great discounts. This time of the year is really the best opportunity to upgrade your WordPress website with a desired theme or plugin! Today we will focus our attention at WordPress premium plugins and themes offered with holiday`s discounts. The most trending items will have their own description, but there also are tons of other useful items, which we will list in tables with the most important information about them. Enjoy the assortment and pick up your favorites! Constant update and development is one of the hallmarks of the WordPress platform. Each new update strengthens the protection of your website or blog on the WordPress platform and brings new features to improve comfort while working with the admin panel. Global update 4.8 is no exception. First of all, you should focus on the issue of protecting your WordPress site from hacking and spam. Attackers are constantly inventing new ways to crack existing security systems. The fight between hackers and developers of security software is not interrupted for an instant. In such circumstances, it is extremely undesirable to skip global updates. Each day of delay in the update threatens you with serious dangers in the form of loss of data on the site or the appearance of unwanted content hosted by hackers. Nevertheless, the global updates of the WordPress platform are not only interesting with modern protection against hacking. Today, we will take a closer look at new features and changes in the existing functionality that will enable every WordPress administrator to work more comfortably and efficiently. Update 4.8 pays particular attention to widgets. It includes new features for creating widgets and widening the functionality of existing widgets. This universal tool for creating content within the WordPress platform has become even more convenient and interesting, including for professional developers. Cyber Monday and Black Friday deals of 2016 on various platforms start today! Tons of useful plugins and awesome WordPress themes are now avialiable with huge discounts! Hurry up to choose the most interesting items! In this article, we will present you the most interesting themes and plugins, which are sold with a discount. Cyber Monday`s offers are generous, so the choice may not be as easy as it seems at first glance. This is why we have compiled a list of the most beautiful themes and the most effective plugins for your site or blog on WordPress platform. Black Friday in the Artbees Hive: Free Jupiter WP License, Domain, Hosting, Support and More! With Black Friday coming up, we wanted to give you a head start and a heads up on the incredible giveaways we’ll be offering our Artbees Care customers! Whether you’re a freelance web designer, digital marketing agency, large business owner, artist, or photographer, having an SEO-optimized, eye-catching and results-oriented website is important. Oftentimes, though, the work involved in obtaining an optimally designed and functioning website can be time-consuming. Particularly if you’re not so familiar with WordPress, the whole process and learning curve can be just downright frustrating. Looks Awesome developers team announces the Halloween Sale for WordPress plugins. The most useful and popular plugins from one of the top developers on CodeCanyon now become even more affordable! In 2003 WordPress started out as a blogging platform built on PHP and MySQL to help bloggers do their thing. Back then, nobody could predict that it would become one of the most powerful CMS solutions on the planet. Google Maps Widget is rapidly reaching a fascinating milestone – the plugin has been downloaded almost 1 million times! Before it gets there within the following weeks, in partnership with Web Factory, we have created a special giveaway just for our readers. Like a torrent of busy honeybees defending the hive from potential threats, the WordPress contributors have finished 4.5.3 to keep the CMS secure. This release addressed some security concerns which included measures to prevent attacks from known vulnerabilities. The new version of WordPress finished on June 18, 2016 and it was officially released to the public on the June, 21, 2016. If you haven’t updated already, you should take the opportunity to do so. You Wanted it. Jupiter V5.1’s Got it. WordPress has released a major update on April, 12 2016. Version 4.5 was dubbed as “Coleman” in recognition of the late great jazz saxophone player Coleman Hawkins. You can download it or update it directly from your dashboard or download it from WordPress.org.